Is it Polish Pickup time again? Where has the year gone, guys? It slipped right by me when I had my head turned. To kick the first sale of the year off, I am starting with a glittering shade from Night Owl Lacquer. 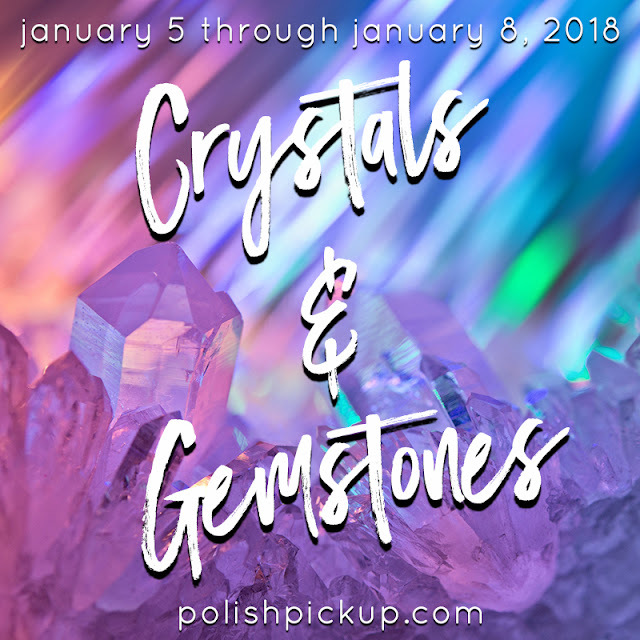 This month, the theme is Crystals & Gemstones. Ms Lindsay chose to make a shining golden taupe holo with multichrome flakes and a rosy pink blush. It is a lovely flowing formula and I used two coats for these pictures. It is a tiny bit sheer, but it is so sparkly and shining that you could don't have to worry about using thick coats. It's like a disco neutral...and you know how I feel about that! The inspiration is this drawing, by Ms Lindsay's own mom. I feel like that gives this polish a special vibe, and it almost warms the depths of my cold black heart. 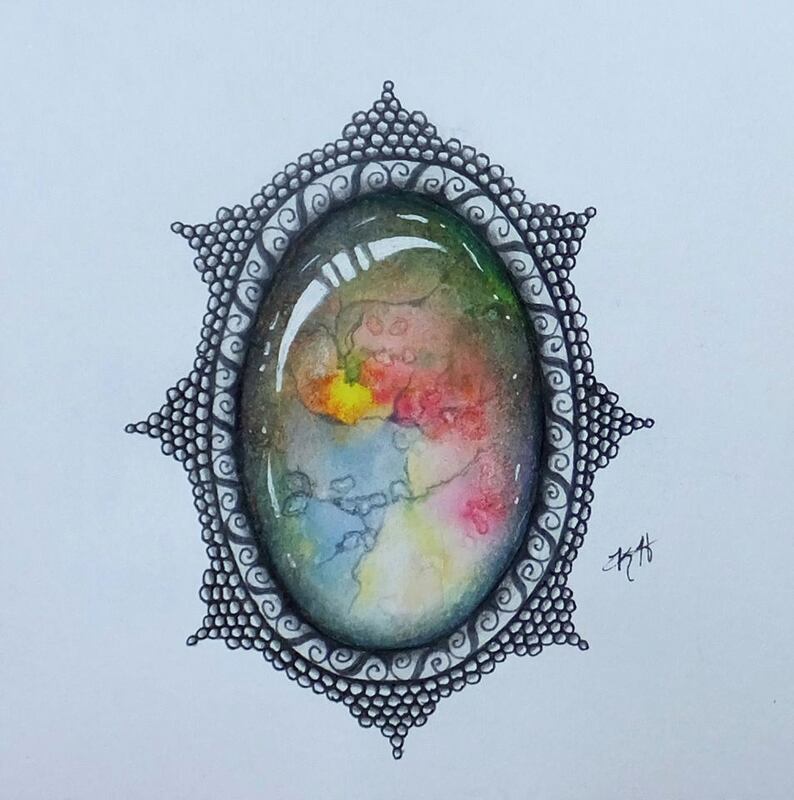 Lindsay says "...my inspiration this month comes from a stone drawn by my very talented mom, Kim of Arts At Midnight. 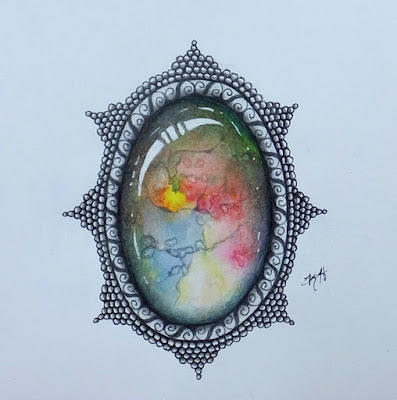 I decided to go with a name that represented the two of us rather than the stone itself..." You can check out more of her wonderful art on Instagram too. Are you psyched for the shop? Set an alarm, the sale starts at 11am eastern, and there will be a ton of lovelies to choose from! I am already making my list, y'all. A slightly late holiday gift to me. 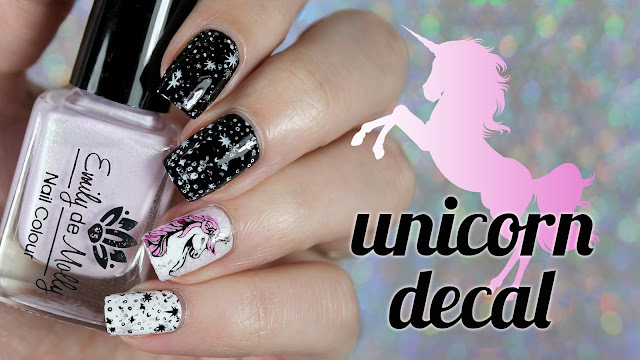 What a gorgeous holo flake combo! The colors in this polish make it so unique. 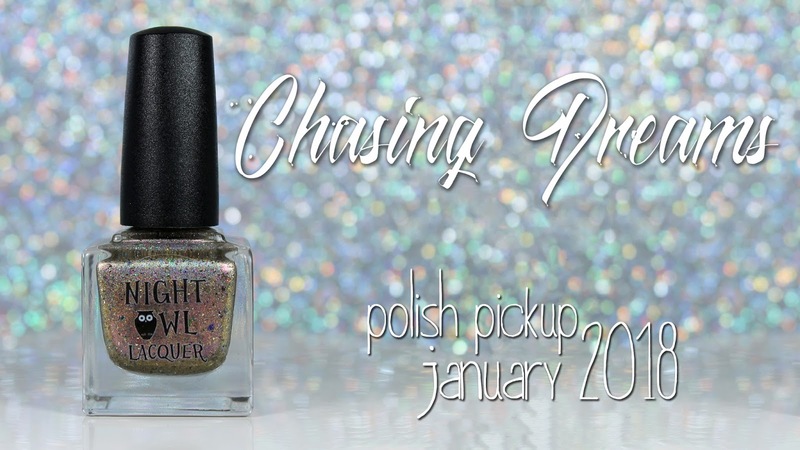 Polish PickUp is going to be my birthday present to myself for January. Adding this one to my list. Oooh this is nice! I love this finish. This is just gorgeous. 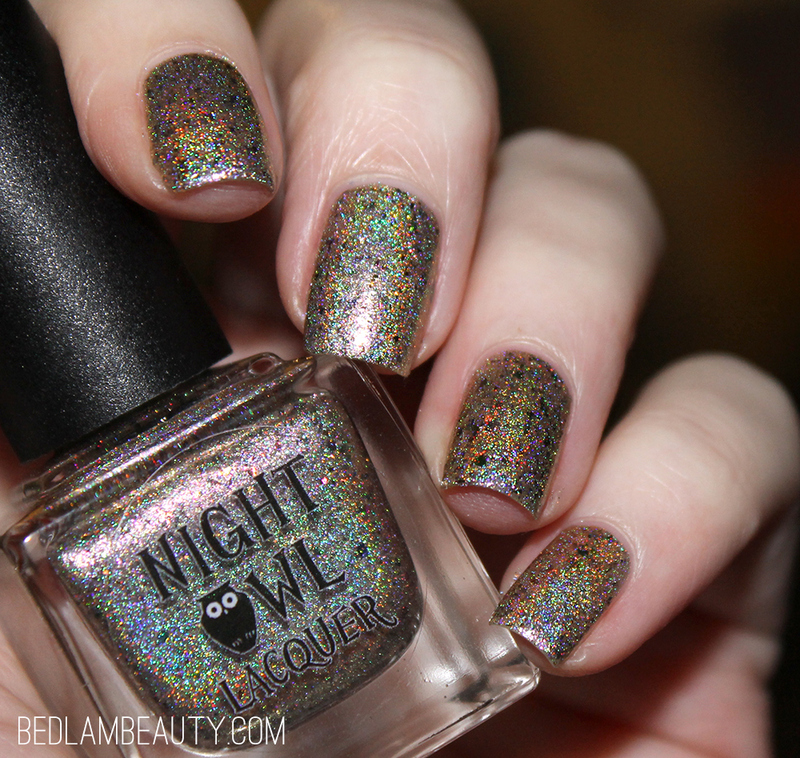 Night Owl Lacquer does some really fantastic stuff! Such a pretty polish! There are a lot of good ones coming out this month. Holy wow, what a pretty multichrome shift! You can almost get away with this at work. I'm loving the shift in this polish, definitely gorgeous. What a multifaceted polish! Gorgeous! Neutral, holo, and flakie? Yes, please.